Will religiously unaffiliated Americans increase support for liberal policies in 2018? 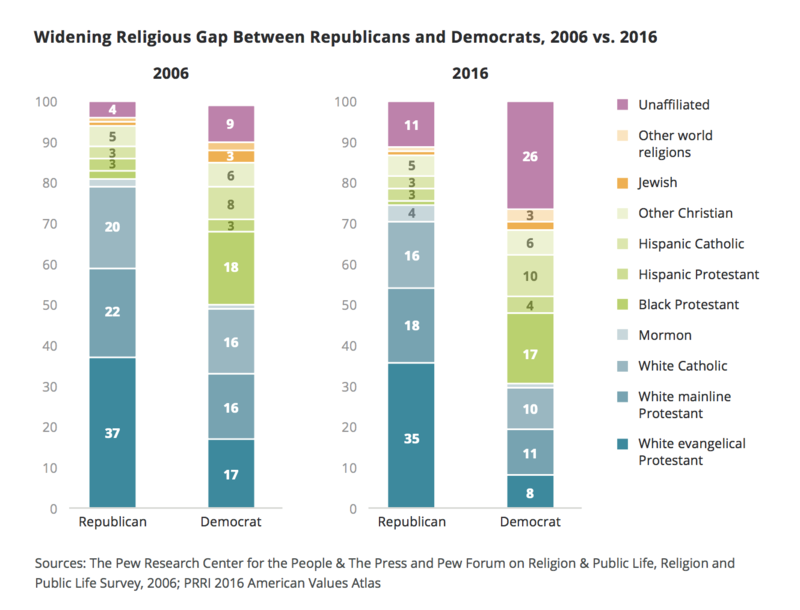 Last fall, the nonpartisan Public Religion Research Institute noted the growing number of religiously unaffiliated Americans: Nearly one of every four people is unaffiliated — a threefold increase since the 1980s. Scholars such as Christian Smith have shown that many noted Americans — such as the Supreme Court Justice Oliver Wendell Holmes Jr., attorney Clarence Darrow and Cornell University founding president Andrew Dickson White – adopted a secular worldview.